The Source boilie range really needs no introduction – the unmistakeable smell is probably one of Europe’s best selling boilies ever and has been helping anglers everywhere to land fish since it was first developed over a decade ago. Developed with Terry Hearn and the Dynamite product development way back in 2002 – (and we have never changed or modified the recipe since) we spent many months sourcing and refining the ingredients and tweaking and testing the recipe until we were 100% confident that this bait would stand the test of time. In fact it is testimony to the boilie that in recent years many have tried hard to copy it and failed. 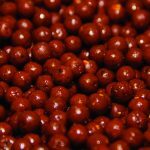 Made with a high protein low temperature fishmeal and other natural ingredients including Haiths Robin Red® to give the bait its deep red colour and spicy flavour and several other special ingredients. Added crushed egg shell gives the bait it’s unique texture and a crunch that carp love. The Source has been responsible for many captures in the UK and abroad, from 50lb+ carp and countless specimen barbel, it’s a real ‘go to bait ’ for anglers fishing an unknown water – making it a sound choice to take with you on overseas trips. 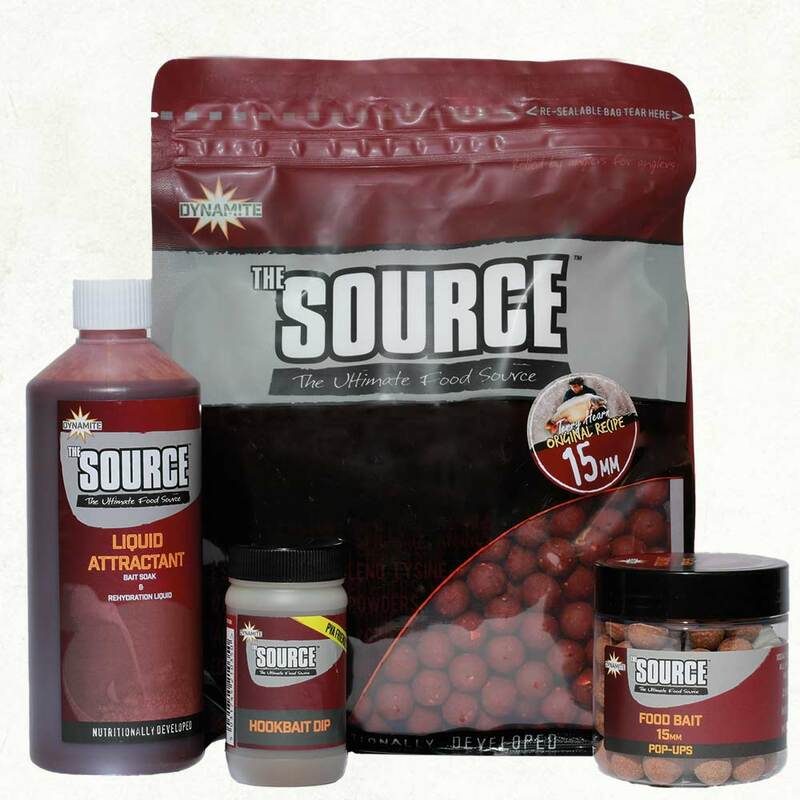 Never bettered and never changed the Source is available in 1kg and 5kg re-sealable bags means you can keep any unused bait fresher for longer. 5kg bulk bags are available for the price of 4kg. 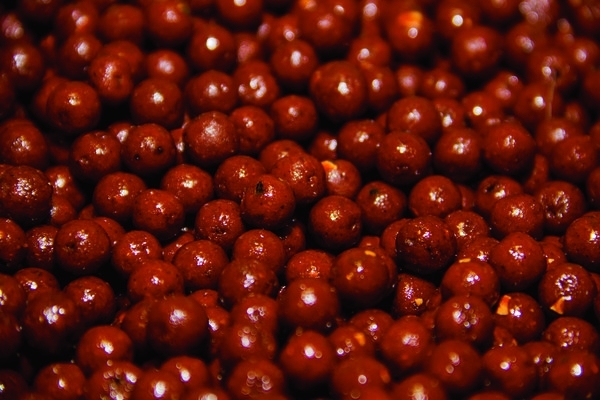 For those who need a large hook-bait, 26mm boilies are also available in a 350g re-sealable bag.